As a respected Bible teacher, Kasey Van Norman had dedicated her life to sharing God?s Word and encouraging women to trust in God during times of crisis. Then, just as her ministry was poised to explode, Kasey was diagnosed with an aggressive form of cancer that shattered her spirit and rocked her faith to its core. 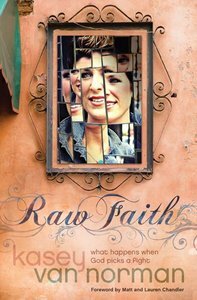 Sick, frightened, and in pain, Kasey suddenly found herself facing the greatest challenge of her life?believing her own message. Drawing on a variety of Bible stories and characters, Kasey discovers and distills the singular truth that has existed since time began: while change and uncertainty are inevitable, God is always unchanging, and He is always faithful?even when our circumstances might tempt us to think otherwise.